At times it’s hard to believe that you could get sick by eating your favourite food. With monsoons approaching, we often have an urge to feast on street food – from piping hot jalebis or those spicy chole bhature, but are never sure of the unwanted consequences that it would bring. Food poisoning is caused primarily by improper and unhygienic handling of food—which can breed and spread harmful bacteria. Many thousands of cases of supposed flu are actually food poisoning cases demonstrating similar symptoms like abdominal pain and fever. Disease-causing bacteria are most commonly found in meats, seafood and dairy products, though we have also seen outbreaks of contamination in lettuce, melons, and other fruits and vegetables, as well as a limited number of packaged and prepared foods. Experts believe that disease-causing bacteria can never be fully eradicated from the food chain, and there is widespread agreement that bacterial food contamination is on the rise—representing a major threat to public health. Some home remedies for food poisoning can come quite handy. When you are suffering from food poisoning, your body is likely to lose more water than normal. Hence, consuming a good intake of fluids and avoiding solid food becomes the initial plan of action. 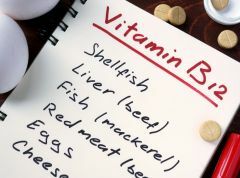 Rather than rushing to your doctor immediately, you can start your treatment at home with some readily ingredients that could be found in your own kitchen. For thousands of years, ginger has been used for the treatment of innumerable ailments due to its powerful therapeutic and preventive effects. Ginger improves absorption and assimilation of essential nutrients and aids in digestion. Hence, it works as a quick remedy for nausea and vomiting, thereby giving you instant relief. 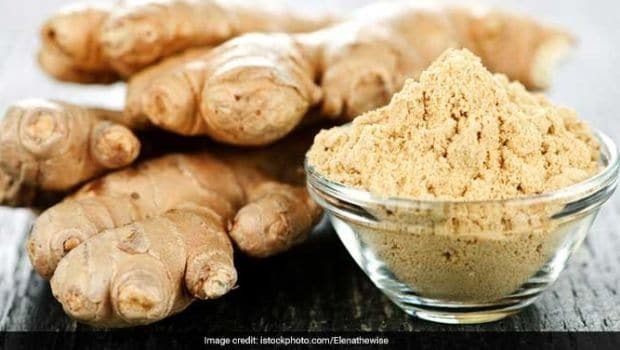 To use this remedy, make some ginger tea by boiling one teaspoon grated ginger with a cup of water for a few minutes, add a little sugar or honey to it for sweetness. Quick Tip: You can also eat raw ginger slices as an option. 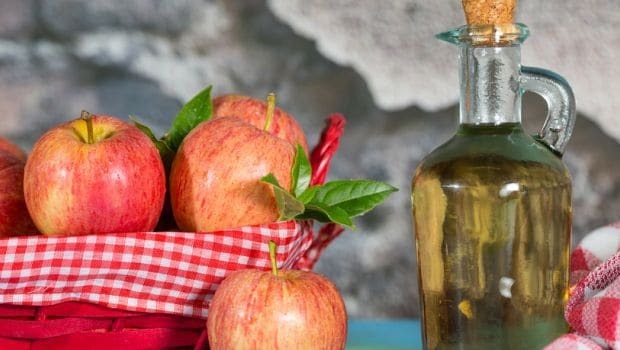 Though acidic in nature, apple cider vinegar has an alkaline effect due to the way it is metabolised in the body. Thus, it can alleviate various food poisoning symptoms. It can soothe the gastrointestinal lining and kill the bacteria, giving you instant relief. For this quick fix, just mix two tablespoons of apple cider vinegar in a cup of hot water and drink it before eating your food. Alternatively, you can drink two to three teaspoons of undiluted apple cider vinegar. The anti-inflammatory, antiviral, and antibacterial properties in lemons can give you much relief. The acid in lemons helps kill bacteria that cause food poisoning. Just add a pinch of sugar to one teaspoon of lemon juice and drink it two to three times a day. You can also sip on warm water with lemon juice to clean out your system. 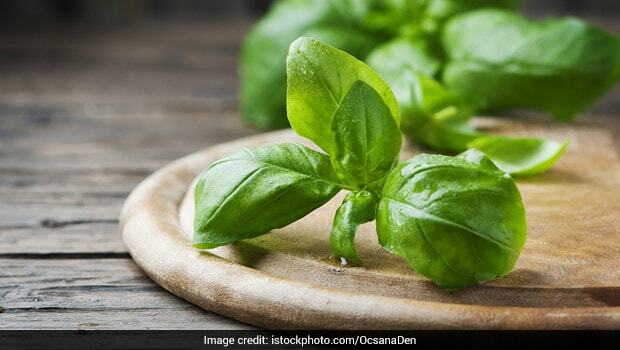 Drink basil juice extracted from a few basil leaves with one tablespoon of honey several times a day. You can also add some fresh coriander juice to it. Put a few drops of basil oil in four cups of drinking water. 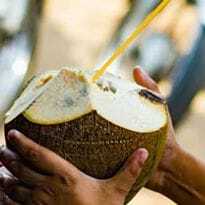 Drink it slowly throughout the day to kill bacteria causing stomach pain and other problems. Add basil leaves, some sea salt, and a pinch black pepper to three tablespoons of plain yogurt. 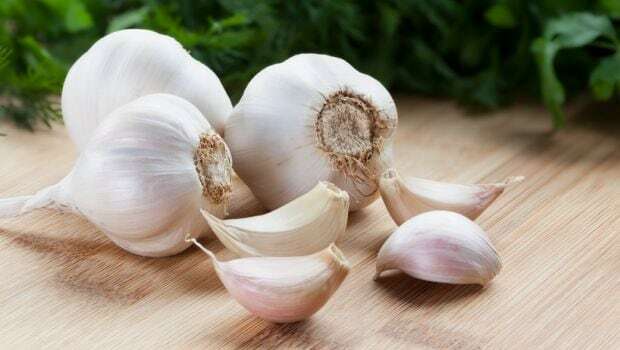 Eat this three to four times a day, until your symptoms are gone. Cumin seeds, also called Jeera, can ease abdominal discomfort and stomach inflammation due to food poisoning. For instant relief try this: boil one teaspoon of cumin seeds in one cup of water. Add one teaspoon of coriander juice extracted fresh coriander leaves and a little salt. Drink it twice a day for a few days. You can also make an herbal drink from cumin seeds, salt, and asafoetida. Drink it two to three times a day. This will cleanse the system and relieve your symptoms. 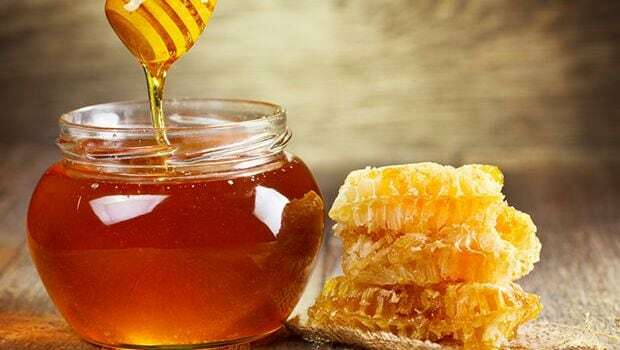 Honey has both antifungal and antibacterial properties that can be effective for treating indigestion and other food poisoning symptoms. Honey as a natural remedy can be taken in its pure form or added to tea. A teaspoon of honey three times a day can do wonders to heal an upset stomach. It also controls the formation of excess acid in the stomach. 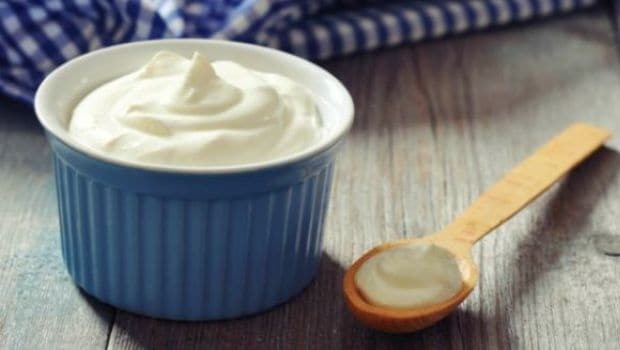 Yogurt has antibacterial and antimicrobial properties that help fight the bacteria causing food poisoning. Plus, fenugreek seeds help treat abdominal discomfort. You can take one teaspoon fenugreek seeds along with a tablespoon of yogurt. You just need to swallow the seeds and need not chew them. The combining effect of fenugreek seeds and yogurt will give you an immediate relief from stomach pain as well as vomiting. So bring these foods to use and get going!